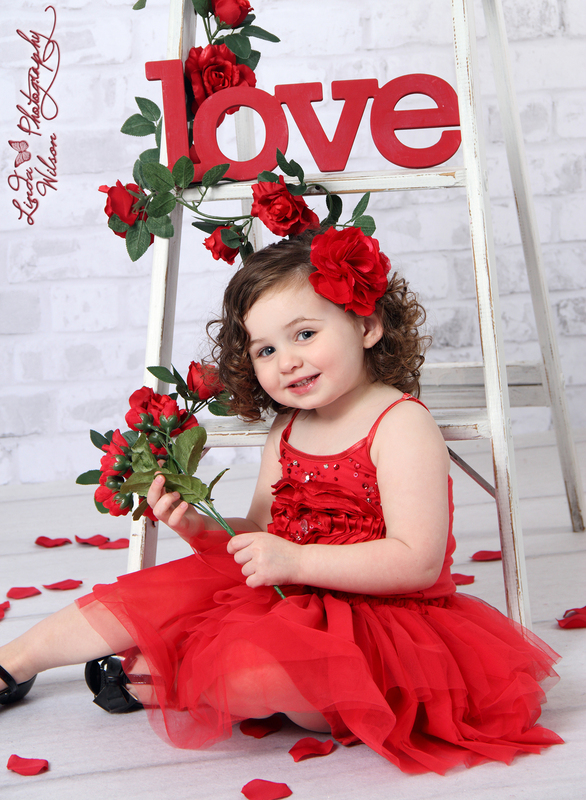 New “Roses are Red” studio setup for Valentine’s Mini Sessions! February 10th, by appointment. Only $100 for the 20 min session, viewing right after session, and 3 photos of your choice! (Choice of high res digital photos, or gift prints) Additional packages will be available. I have several dresses, or tutus available for your little girls to wear, including these shown below. Ask me about what is available in your child’s size. I have a few suits available for boys too. Saturday Feb 10th By appt. 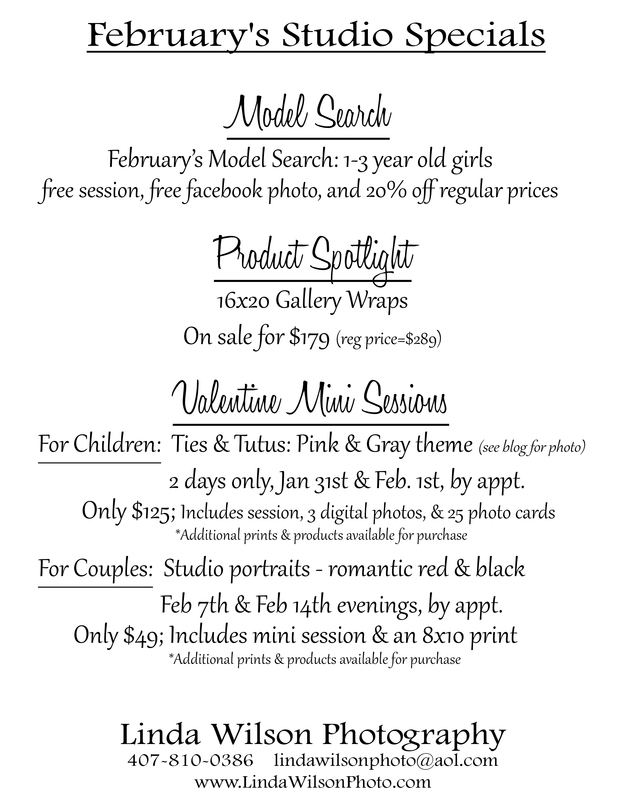 Valentine’s Mini Sessions are coming soon! Choice of different setups, by appointment, February 2nd & 3rd, 2018. Only $99 for the 20 min session, viewing right after session, and 3 photos of your choice! (Choice of high res digital photos, or gift prints) Additional packages will be available. 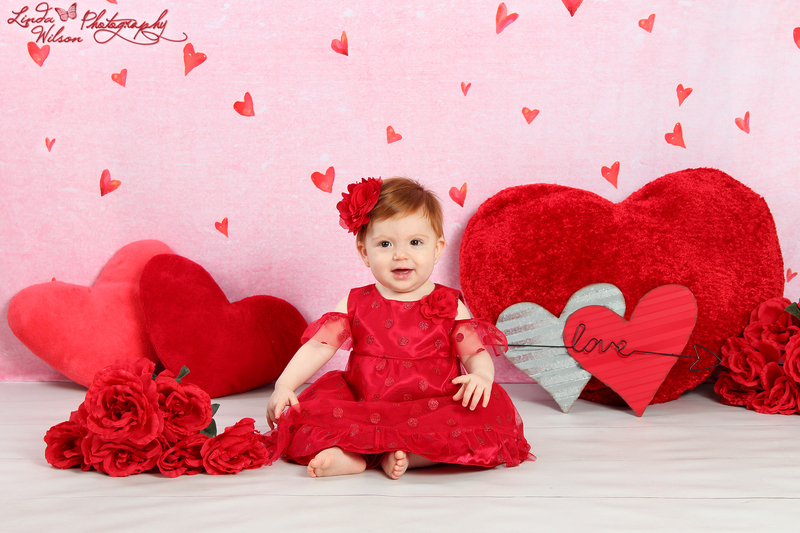 Valentine’s Photo Mini Sessions! All week from Feb 3rd through Feb 11th, 2017, by appointment only. 2 different sets to choose from. Adult couples are welcome! Only $50 for the session and 2 high res digital photos, or $100 for session, viewing, and 6 digital photos (or 6 prints) of your choice! Contact me soon to schedule your session. 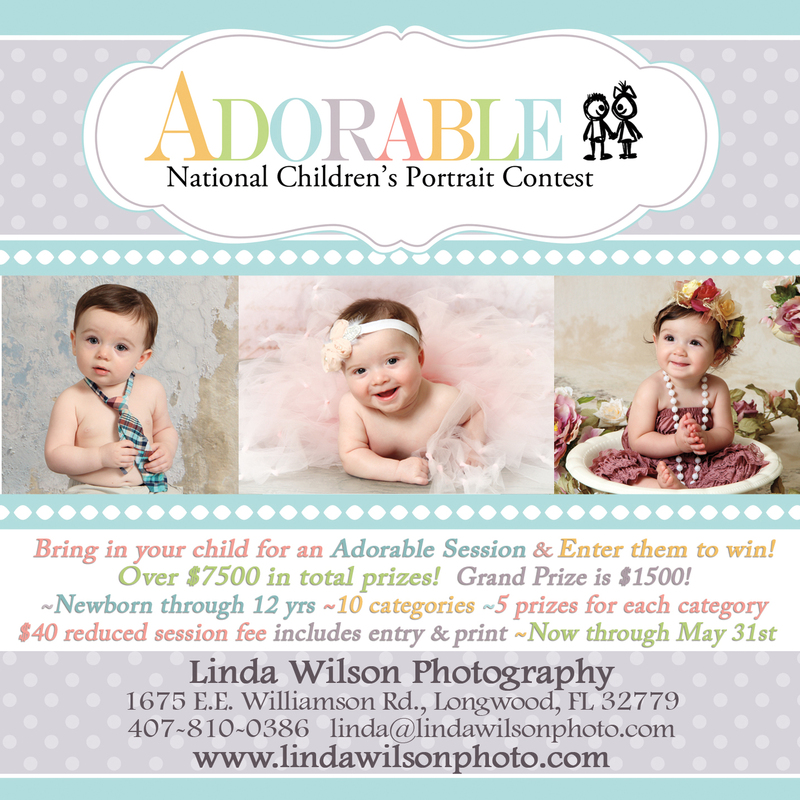 You can email me at linda@lindawilsonphoto.com or call at 407-810-0386. Happy 2016! I hope everyone had a great holiday season and is ready for the new year! 2015 was a pretty good year for me, and it was so exciting to be chosen as one of Central Florida’s “Top Ten Photographers” for 2015! What an honor! I can’t wait to see what is in store for this new year. In a few days I’m off to Atlanta for the annual PPA (Professional Photographers of America) Convention. I’m very excited to learn a lot and come back with fresh ideas. You never stop learning or improving no matter where you are in life, and not only do I enjoy it, I feel it’s very important to constantly continue my education, so I can do what I do better! The contest will run from mid January until May 31st. Only $40 covers your 40 min. 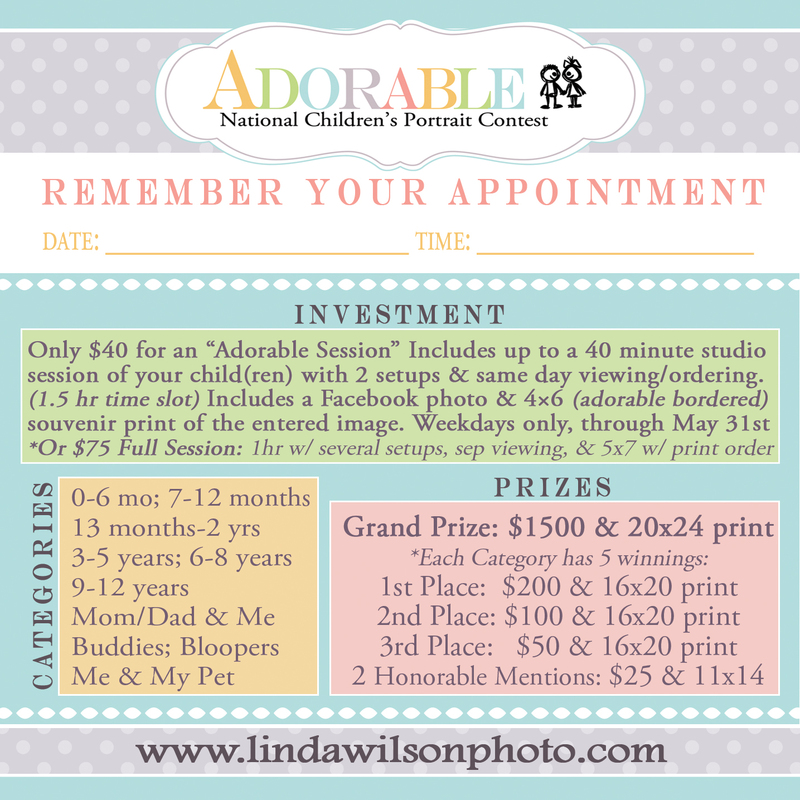 studio session fee with viewing right after, along with your child’s entry into contest, and a 4×6 souvenir print, along with a Facebook photo. 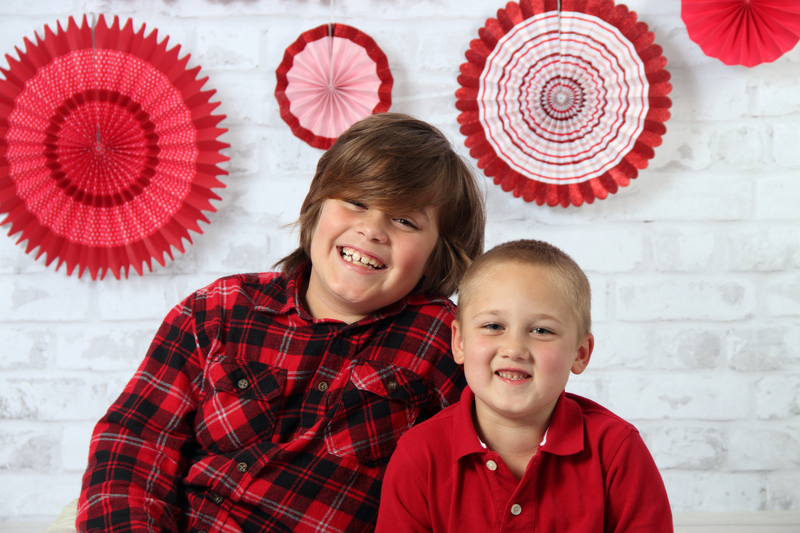 Or you can do a full session and receive more time with more setups, plus an extra 5×7 print for only $75. 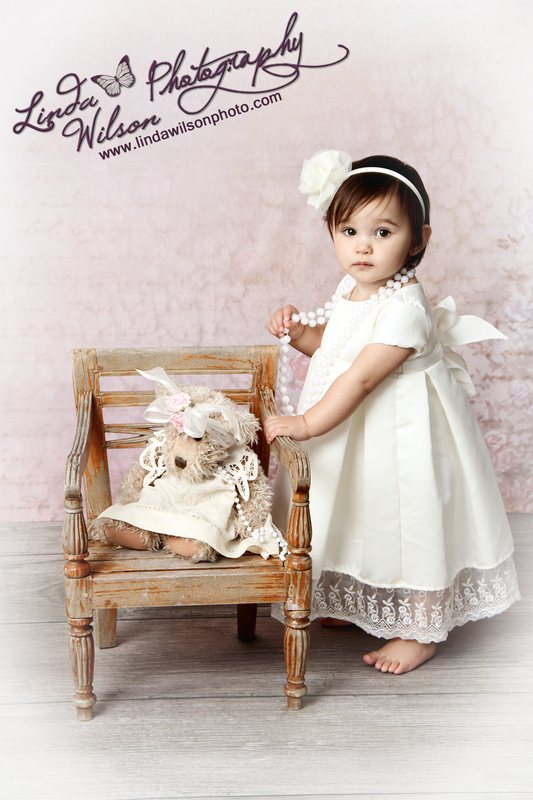 No additional purchase is required, but most people do, because their child is so adorable! Grand prize winner will win $1500! Plus lots of other winning prizes as shown below. Note: If you are a Baby Plan or Watch Me Grow member coming in anyway, of course we can enter any photo of your baby from that session; no need to do a separate session. The same goes for a family or any other regular session. 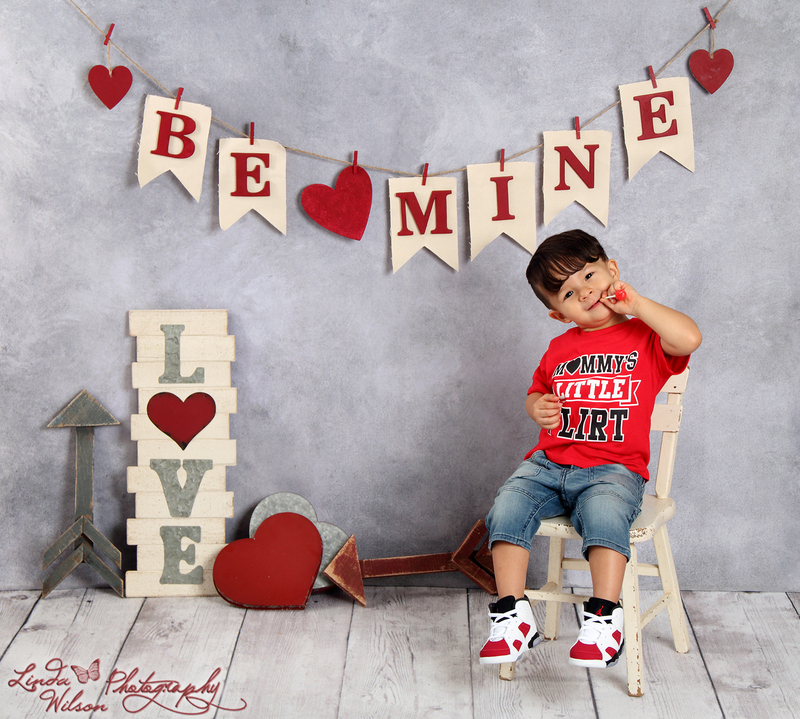 Contact me to schedule your adorable child(ren)’s session! 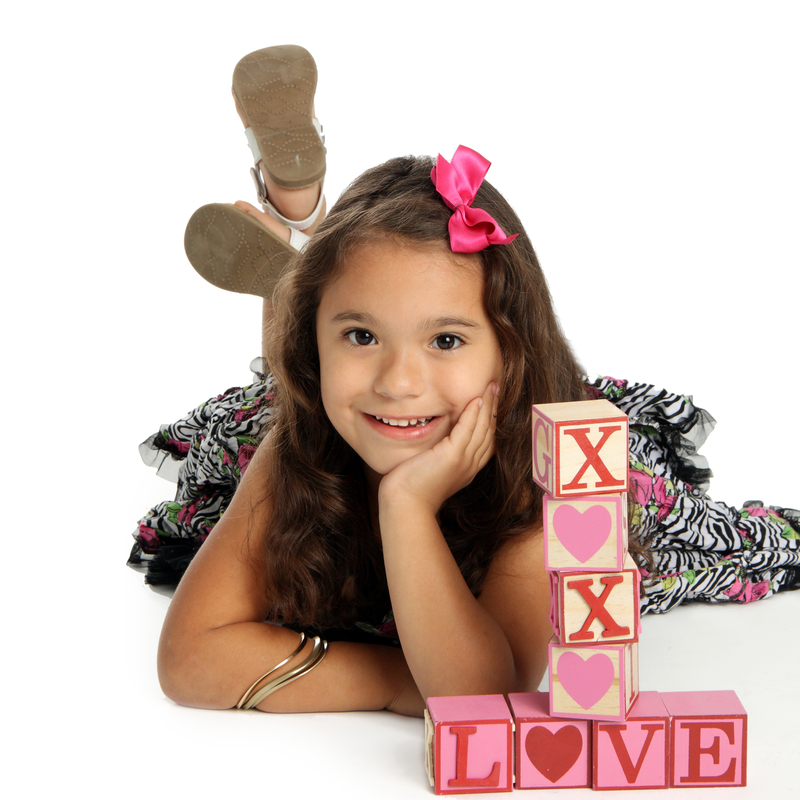 Valentine Mini Sessions for Children: 2 days only! Friday, Jan 31 & Saturday Feb 1, 2014, by appointment only. 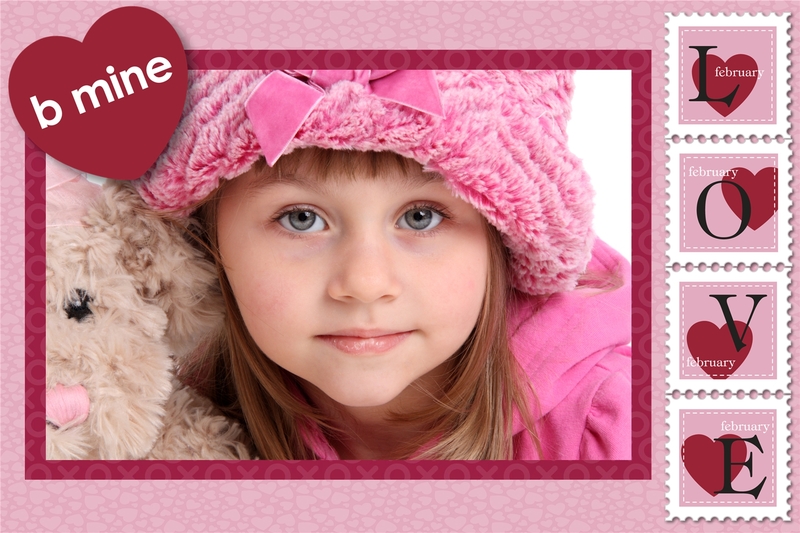 Only $125 includes the session, 3 high resolution photos, and 25 custom designed photo valentine cards. Choice of 3.5×5 with envelopes, or 2×3.5 fancy shaped mini cards for passing out at school. If you don’t want the cards, then add 2 images! 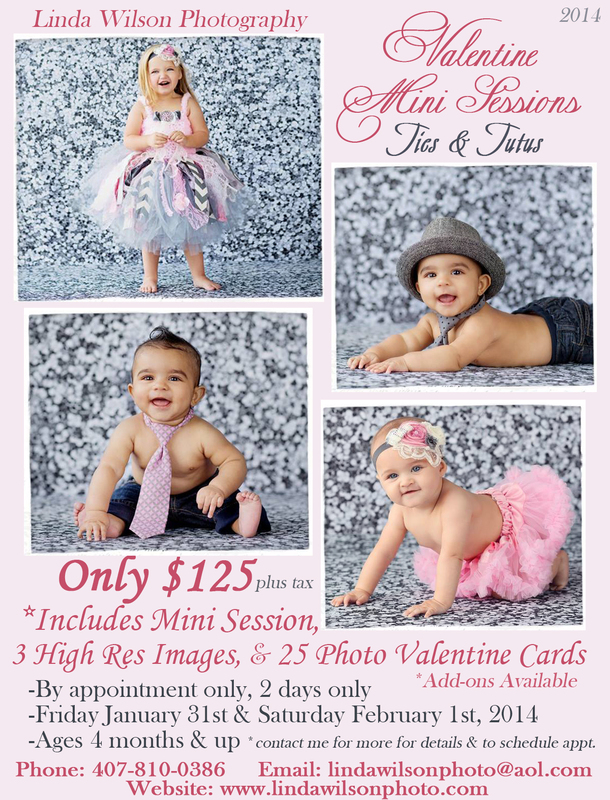 Bring your little ones (ages 4 months & up) for this adorable set…Pink and Gray “Ties & Tutus.” I have some tutus, ties, & hats, but please bring pink & gray clothing for your children, too, especially for older children that may not fit. Or feel free to choose red instead. It’s up to you. Contact me to book your session and discuss details. Payment due at time of booking to reserve your spot. 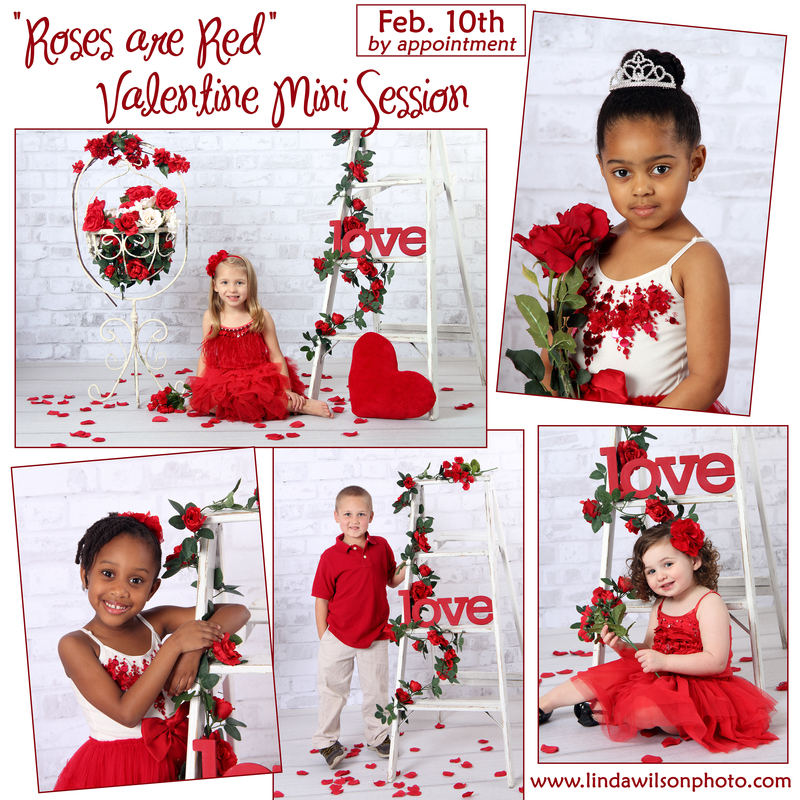 It’s time for Valentine’s Day Mini Sessions! 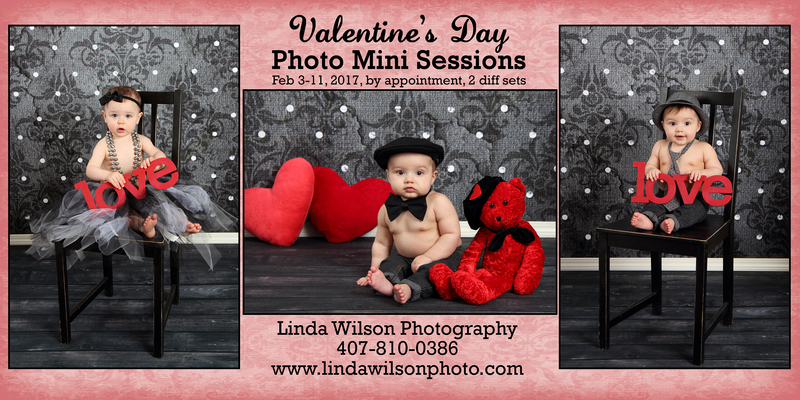 This month I am offering an extended mini session rather than just the normal 2 days…it will last until the end of February! By appointment only of course. 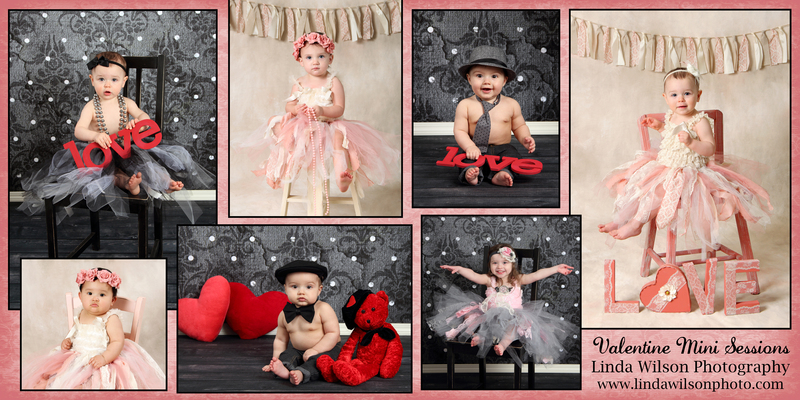 I have lots of Valentine props, as well as background & setup options. Choose a clean, modern look with the white background; or go with the more vintage feel. It’s up to you! 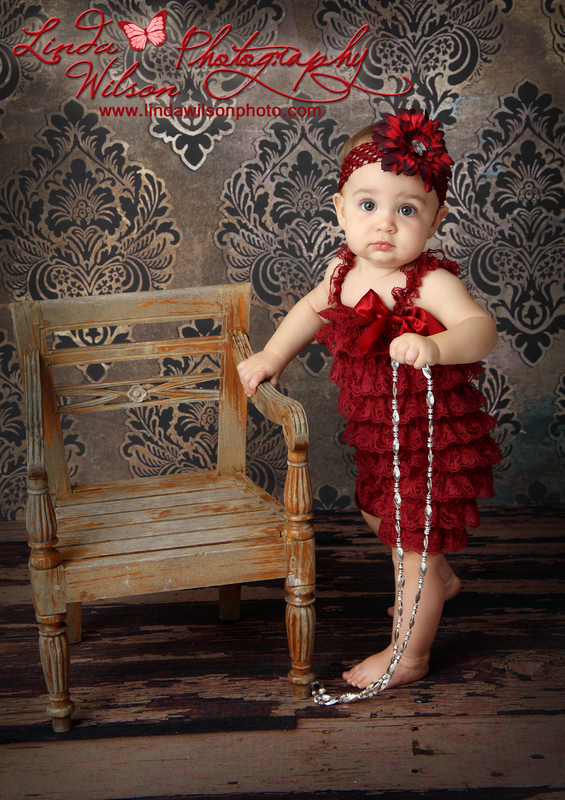 Mini Sessions are for children ages 6 months to around 14 yrs. old. The sessions are about 20 minutes with one setup. The cost is only $50 which includes the session, and 3 high res digital photos of your choice! Additional images may be added for only $10 each. You will view & choose your photographs immediately following session. Prints & custom products are also available, such as creative print composites, photo cards, bookmarks, canvas gallery wraps, image blocks, and more! Contact me soon to set up your child’s appointment. Give custom photography a try without the high investment risk. You won’t be disappointed, as satisfaction is guarranteed! $50 is around the cost of one night out for dinner…use the money on something that will last forever! 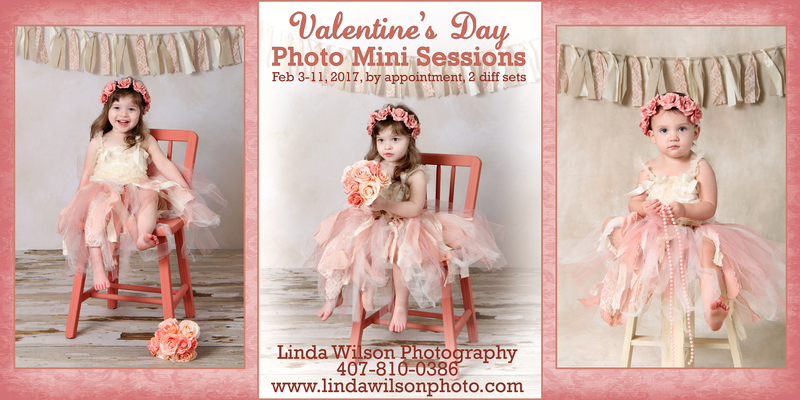 Please feel free to email any questions or to check availabilty for scheduling your session appointment to linda@lindawilsonphoto.com or call me at 407-810-0386. Thank you!